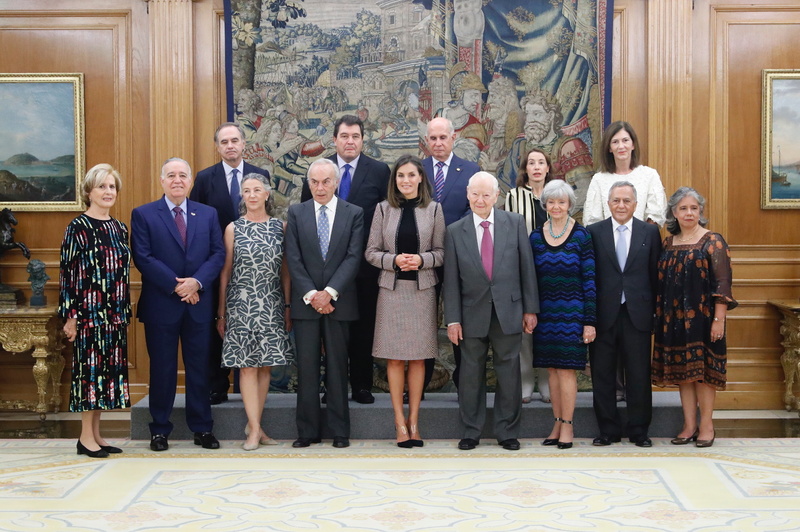 Today Her Majesty the Queen Letizia of Spain received in audience from the viceregal painting commission of the National Museum of the Prado headed by the President of the Friends Foundation of the Prado Museum. 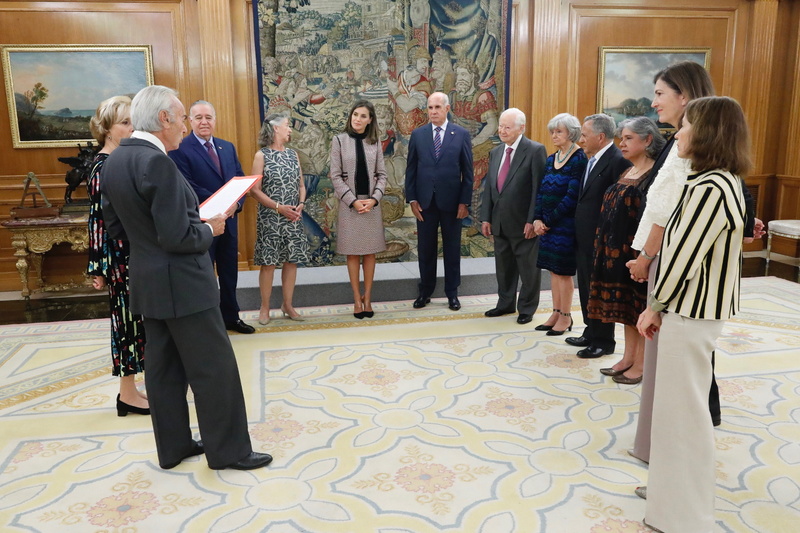 The Friends of the Prado Museum Foundation is collaborating with the National Museum of the Prado to create the viceregal art commission whose objective is the dissemination and study of this art. This project will allow these works to have the recognition they deserve inside the Museum. 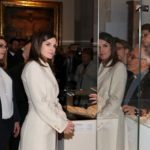 The Commission will analyze the help that the Museum needs to implement this plan that includes both acquisitions and donations of work, assembly of exhibitions, research and scholarships. A summer course has already been dedicated and the Chair of the Prado will be dedicated this year. 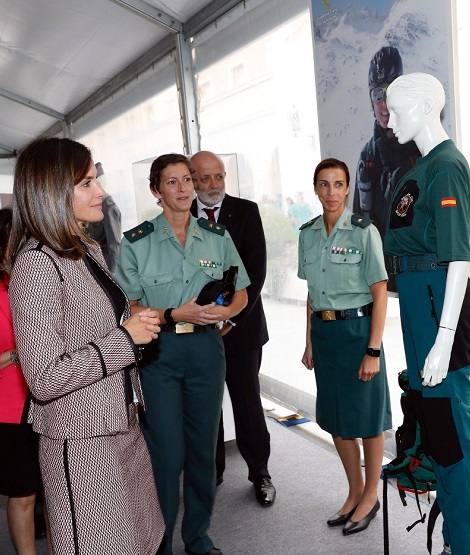 Later in the day, Queen Letizia visited the facilities of the General Directorate of the Civil Guard, in Madrid to attend the celebration of first female corps officer entry in Spanish Army. 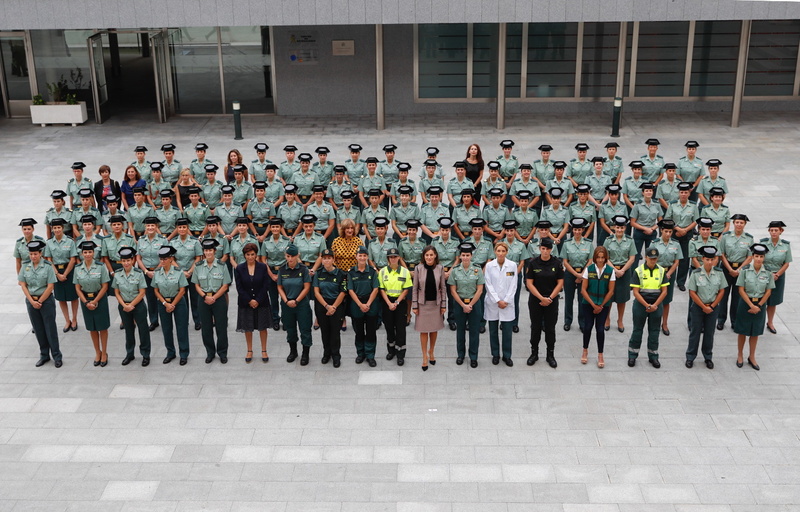 It’s been 30 years since a woman has became a corps officer in the Civil Guard and 25 years in the General Military Academy of Spain. 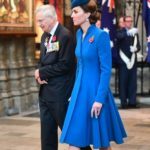 Queen was received by the Minister of Defense upon arrival. 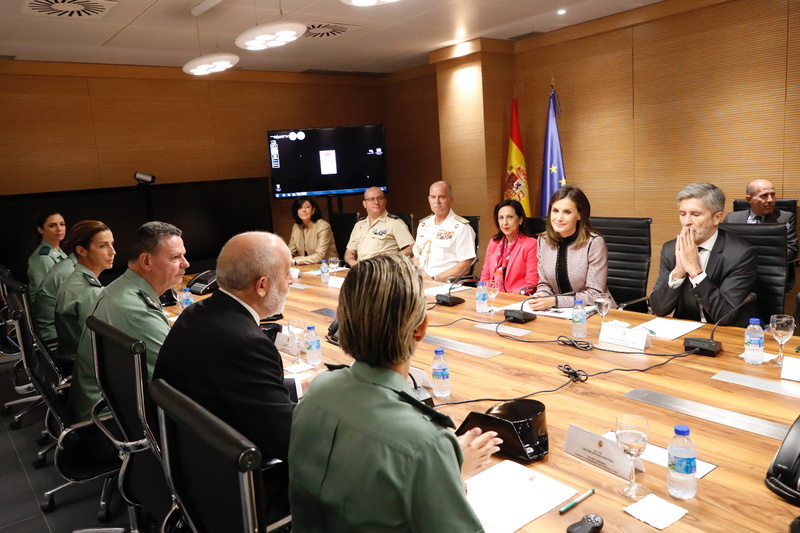 The event began with a working meeting with General Director of the Civil Guard, the Minister of Defense and the Secretary of State. 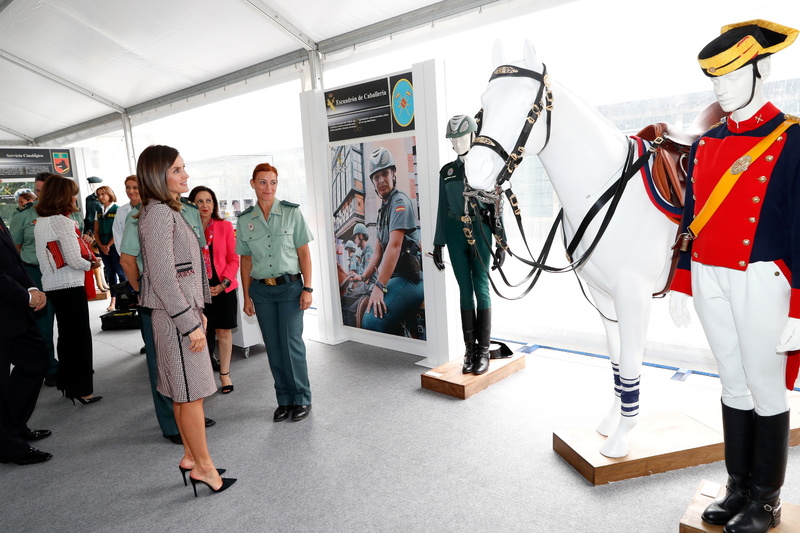 Later on a video was screened describing the role of women in Spanish Military. 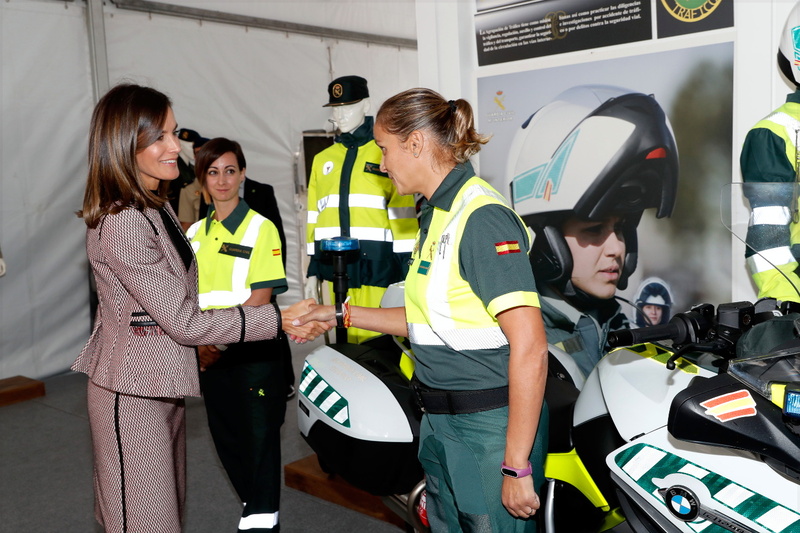 An Exhibition was conducted describing the life of women in the Civil Guards – “The woman in the Civil Guard”. Before leaving Queen signed the Book of Honour. 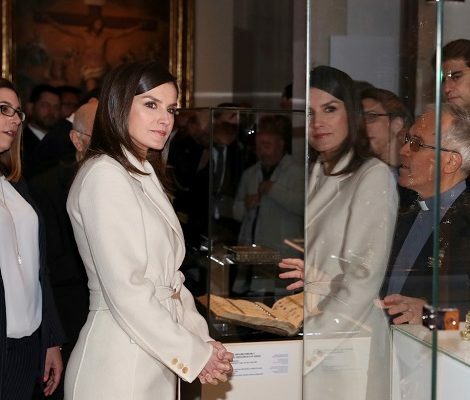 For one of her busy day, Letizia chose a comfortable and formal look that she has worn many times during the year. 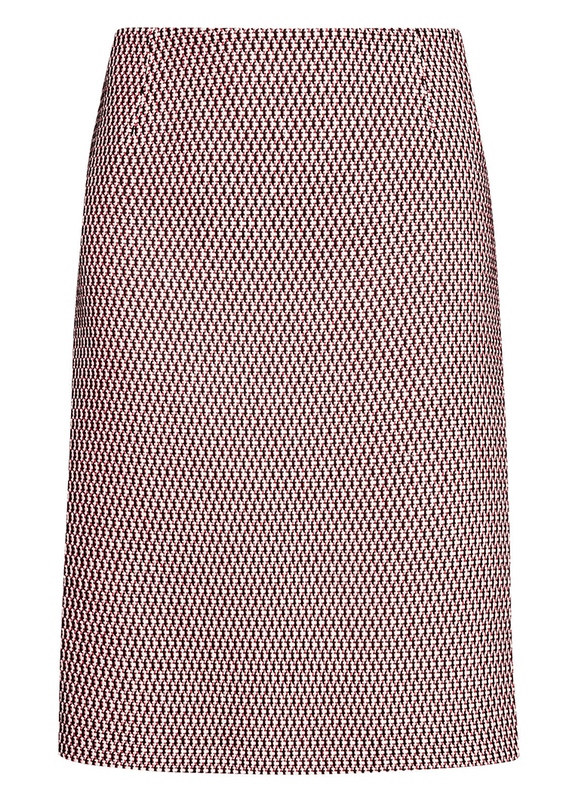 She wore Hugo Boss BOSS ‘Keili’ Collarless Blazer and the matching ‘Meili’ Skirt. 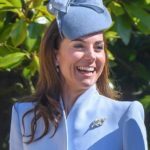 Letizia debuted the pink tweed suit featuring micro print in March this year at the World Rare Disease Day. 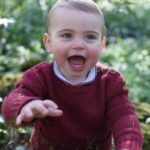 This time, Queen paired the suit with black knitted high-neck sweater. 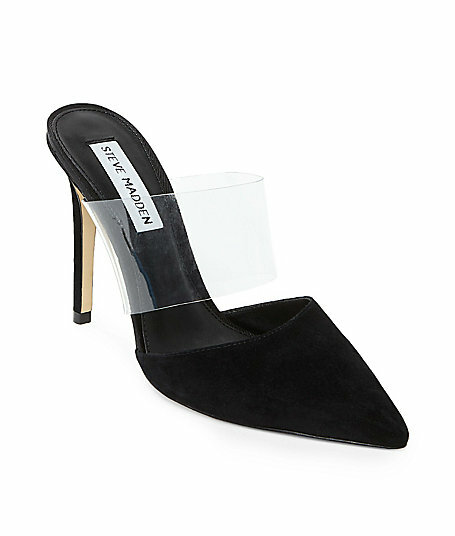 Letizia was wearing her Steve Madden Plaza stiletto that she debuted during State Visit to America in June this year. 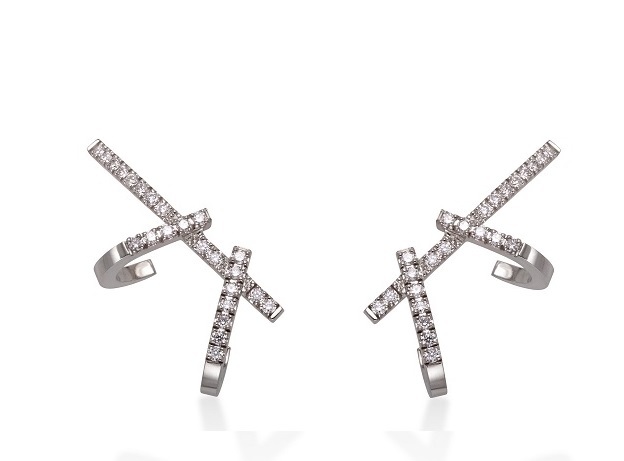 Her Gold & Roses Double Dagger earrings finished her look. Tomorrow Letizia will open the Professinal Courses for session 2018-2019 at CIFP Mallorca.